Beautifully engineered steel kettle with polished finish and blue illumination. Ergonomic handle and spout for easy and safe poring. All this plus a durable yet aesthetically pleasing non-corrosive stainless steel body that will ensure your bin lasts for years! Contemporary style in either round or square shape. 360 Degree base. Material: non-corrosive and polished stainless steel. 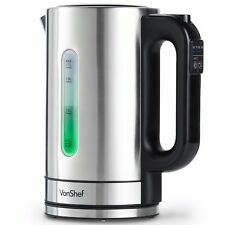 This kettle has a special safety feature where the Voche logo on either side changes colour when heat is applied. 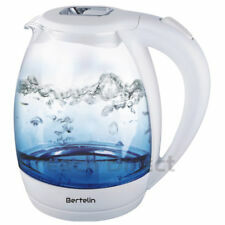 This allows you to see at a glance whether the kettle is still hot or not. Voche logo on either side changes colour when hot (Black = Cold, Red = Hot). Easy view water window, so that you can easily view how much water is in your kettle. 360 degree base, so that you can easily use your kettle whether left or right handed. Cord storage, so that your kitchen work top stays neat and tidy. The Equip stainless steel jug Brushed by Morphy Richards gives you a stylish kettle with on-trend matte finish and has 1.7L capacity plus a water level indicator. Easy view water window, so that you can easily view how much water is in your kettle. It is suitable for gas, electric or induction hobs and has an easy grip, heat resistant handle. ThisRed Polka Dot Design 3.5 Litre Capacity Stainless Steel Whistling Kettle will add a touch of class to any kitchen. Power: 2000W. Boil dry protection. 360 degree rotational base. Stainless steel body. Neon light on/off switch. Kitchen electricals. Dorchester Red Kettle. Showcase your style with the kettle’s striking red stainless-steel body with plastic accents. Easy Pour Spout. Easy pour spout. Boil exactly how much water you need and save up to 70% energy . Buckingham ultra stove top induction whistling kettle 3 litre in a matt and mirror finish. 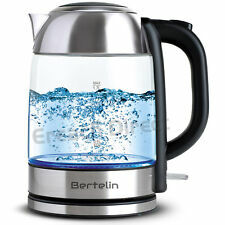 A high quality Stainless Steel kettle for maximum durability with a soft grip silicon handle and knob. 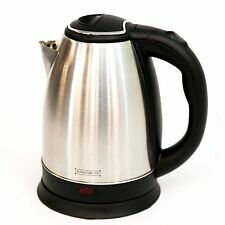 Buckingham ultra stove top induction whistling kettle 3 litre. Featuring a classy red finish, this stylish Waring kettle is equipped with a locking lid for added protection during operation. The appliance has an ergonomic handle and largo spout for easy pouring and features dual water windows so you can easily see the precise fill level. Grunwerg Cafe Ole Stainless Steel Stove Top Whistling Kettle HTK-15. Whistling Spout. Removable Lid. Stainless Steel. Material Stainless: Steel. 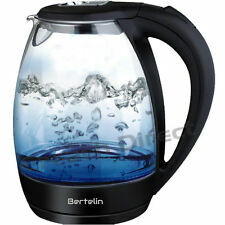 Capacity: 1.5L. Folding Handle. 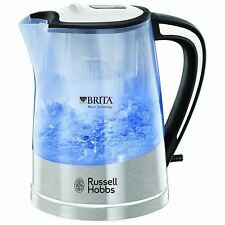 EASY TO USE AND EASY TO CLEAN WATER HEATER URN - This hot drinking water urn features a removable drip tray making cleaning a quick and efficient task. 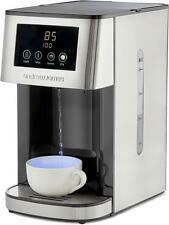 The lid and brew basket on this electronic hot water dispenser are dishwasher safe.